Traditionally Technic creators have used either photos or LDraw to document their constructions, and sometimes with stunning results. However the learning curve for LDraw is quite steep (despite the existence of several tutorials). On of the main 'problems' with LDraw used to be the fact that parts don't simply click together and that traditionally LDraw even permits the existence of a part completely or partially inside another*. For those who have never tried LDraw for these and other reasons, at first LDD looked like it might be the solution. However, the limited number of available parts and colours, as well as some initial bugs in the program soon made it clear that it wasn't the tool many had hoped for, especially for Technic builders. A recent development in LDD has changed some of that though. 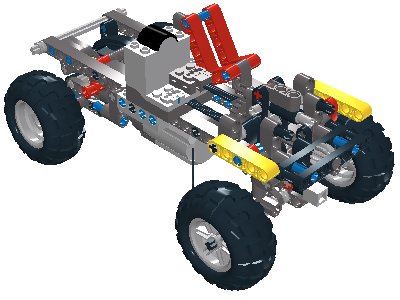 It still isn't the perfect Technic Designer tool, but it may be closer to an interesting starting point for those who want to begin documenting their constructions with a CAD tool. A recent post on EuroBricks revealed that a minor change in one of the .ini files now gives you access to what is called the LEGO Universe (LU) mode. This mode gives you access to a much larger number of parts and colours, although no longer with the certainty that anything you build can also be ordered - the original purpose of LDD. For instructions on how to activate LU Mode please refer to the information posted on EuroBricks. Please delete the information on how to activate LU Mode. It states very clearly on the Activation Info that it is NOT to be re-posted on the web, instead link to the original post at Eurobricks. Thanks. My apologies, It appears I didn't read as carefully as I should have. This has been emended. But it is a great way to start with CAD-designing! Having the Universe mode is definitely awesome news! Is there a LDD-file already available? 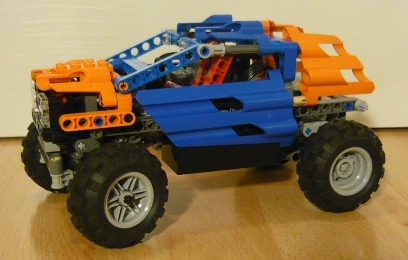 The crowd-sourcing of technical design solutions would be a lot easier with Technic parts in the palette, without it having to result in the ability to purchase an LU model at this time. Are motors etc... included in the LU-mode palette?